Is a Garage Door Covered by Your Home Warranty? A home warranty does not cover a garage door. Therefore, it will not cover things like garage door repair, but only the cost of repairing or replacing systems and appliances of the home itself. Plumbing, air conditioning, and other essential systems are more typically warrantied. Depending on your home warranty, the garage door opener may be covered. How Do I Know If My Garage Door Opener Is Covered? Read your home warranty thoroughly before signing the document. A warranty typically has a lot of fine print. It might cover only certain types of repairs and cover only a portion of the bill. It never hurts to ask your home warranty provider if your garage door opener is included. Depending on the coverage, you may be able to add garage door components for an additional premium. But be careful when signing or using the agreement. If you have a mechanical problem that existed prior to the agreement, the failure occurred due to problems other than normal wear and tear, or there was faulty workmanship, the agreement may be voided. Can I Get My Garage Door Covered? 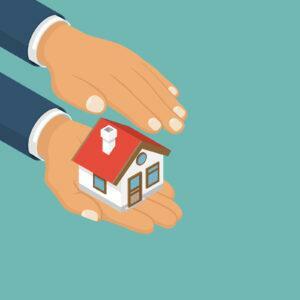 A home warranty only covers the cost to fix or replace home systems and appliances. If you don’t wish to pay for garage door installation or replacement out of pocket, your homeowners insurance plan may provide coverage options. However, insurance policies vary in what they cover, so you may still be stuck with the repair bill. Your homeowners insurance might cover the bill if you damaged the garage door with your own car. On the other hand, car insurance companies don’t typically pay for repairs you inflict on your own property. If another driver hit your garage door, their car insurance should cover it, but your homeowners insurance should cover the repair costs should the incident be a hit and run and you don’t know who the at-fault driver is. Homeowners insurance policies should also cover vandalized garage doors, malfunctions due to electrical surges or other covered incidents, or damage due to weather-related events such as hail, wind, or fallen trees. When your garage door needs repairs, you want the most reputable company and affordable costs. Precision Door Service, a trusted Fresno garage door company, provides excellent service at the best value. We provide same-day service and don’t charge extra for weekend or evening service. Our dispatches are available 24 hours a day, so you can call day or night and have your garage door issues taken care of. Your garage door may not be covered by your home warranty, but you can expect prompt, professional service and immediate availability during emergencies. Not sure if your garage door is in need of repair? Our technicians will perform a 25-point safety inspection complete with a full diagnostic. We know that garage door problems crop up at the worst of times, when you need to get into your home, get out to drive to work or an appointment, or must have it fixed right away because your home is vulnerable to a break in. When trouble does arise, don’t worry. We have you covered. Call Precision Door Service of Fresno at 559-480-2955 to discuss your issues or schedule an appointment at a time that’s most convenient for you.